I’ve mentioned before that I’m lucky to work with some of the nicest people you’d ever want to meet. Our work is as hectic as the next place—seems there is no down time these days. They call it the “new normal”. But in December, we make time to celebrate the season and each other’s company. Some of the traditions we’ve started is helping to pack hampers for the Salvation Army as a team, writing hand-written personal cards, and of course, lots of holiday treats, goodies and a potluck. This year the gang wanted to do something different than our ordinary gift exchange, and we landed on Secret Santa. We drew names (well, we actually had to draw twice since Jessica put her name on every slip the first time), and for the next two weeks, we are going to delight the person whose name we drew with little surprises to make their day. It’s been so much fun thinking of what I can do for my Secret Santa friend. I can’t wait until the 19th when we have our potluck, exchange gifts and have our “secret Santa reveal”. 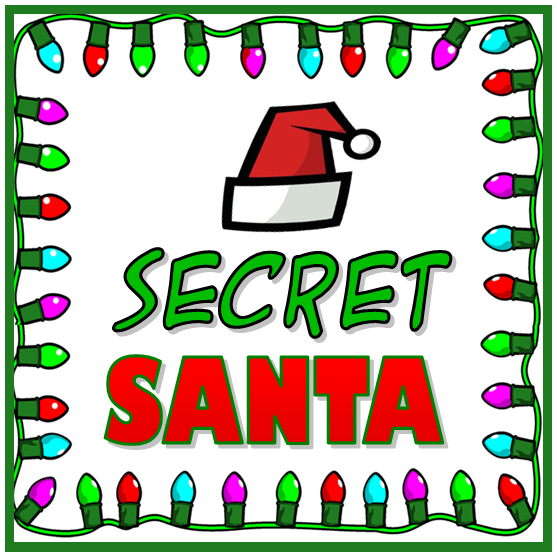 This week’s #HappyAct is to be a secret Santa to somebody. Surprise them with a little gift, treat or card telling them how great they are, decorate their cubicle or hang an ornament on their front porch. Embrace the spirit of giving. Let the merriment begin.